Outdoor Pursuits is a signature lifestyle concierge service exclusive to the most exceptional communities. At Mountaintop, Outdoor Pursuits provides for safe luxurious outdoor recreation both inside and outside the gates of the community. Spend an afternoon on the water on a paddle board, kayak or canoe just minutes away at Mountaintop’s private Lake Club on nearby Lake Glenville. Or escape into the beauty of the Blue Ridge Mountains during a backcountry, hiking, fly-fishing expedition, whitewater raft trip, or mountain bike trek. The choices are nearly limitless. Or, closer to home, you may choose to stroll beside rushing streams, share an evening glass of wine with friends from high atop Mountaintop’s Overlook. All of this and more await you within the gates of Mountaintop. 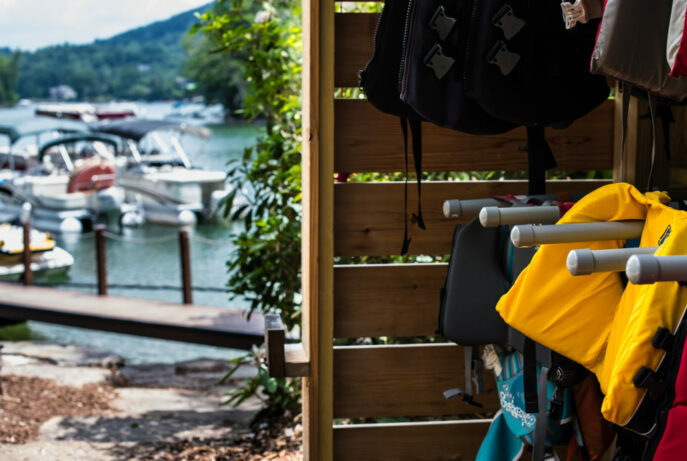 Perched on the shores of nearby Lake Glenville, one of the most beautiful and popular lakes in the region, Mountaintop’s private Lake Club provides members with all the luxuries and services necessary to create a truly memorable experience for the entire family at this lovely Appalachian lake. 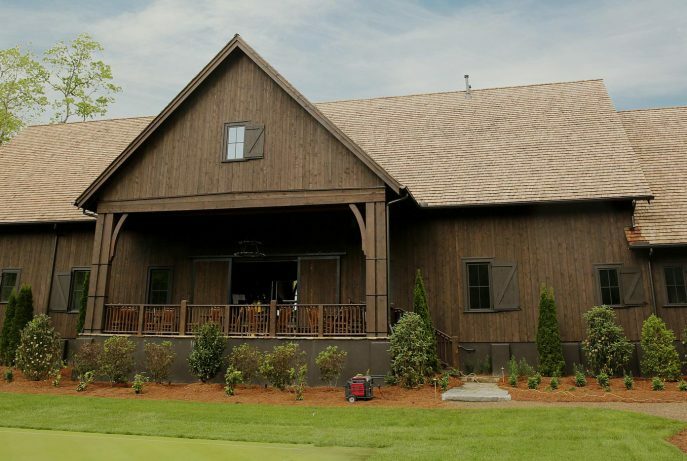 Located on 7 ½ acres, the Lake Club is centered around a 4,600 square-foot pavilion crafted from Appalachian square-cut logs with a cedar shake shingle roof and large outdoor fireplace overlooking the lake. 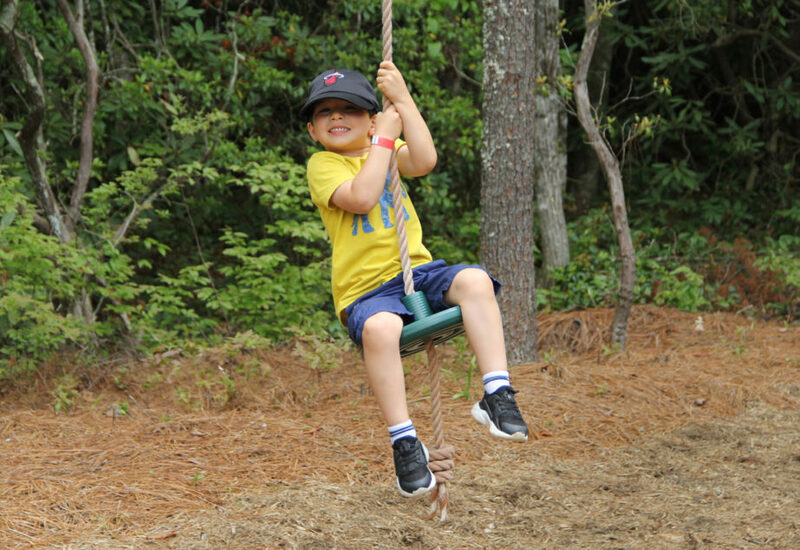 Enjoy overnight camping adventures for families, waterfall sightseeing cruises, fishing excursions, fun-filled lakeside parties and other recreational experiences for members and their guests through the Lake Club. 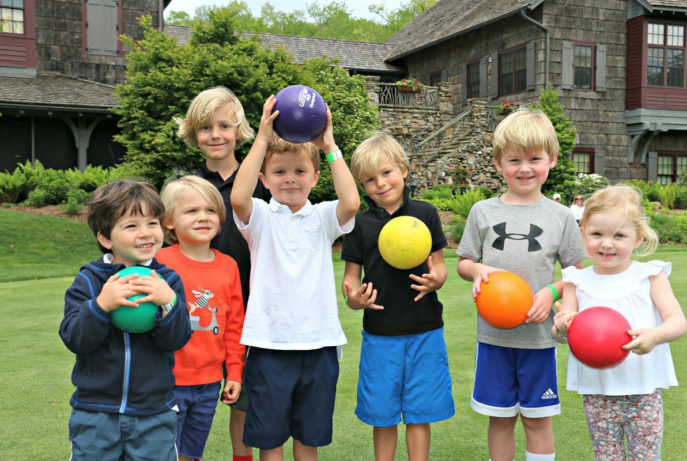 Our Basecamp is summer camp to the extreme and provides endless fun to kids of all ages. Take a trip to the fun factory or try your luck at gem mining. 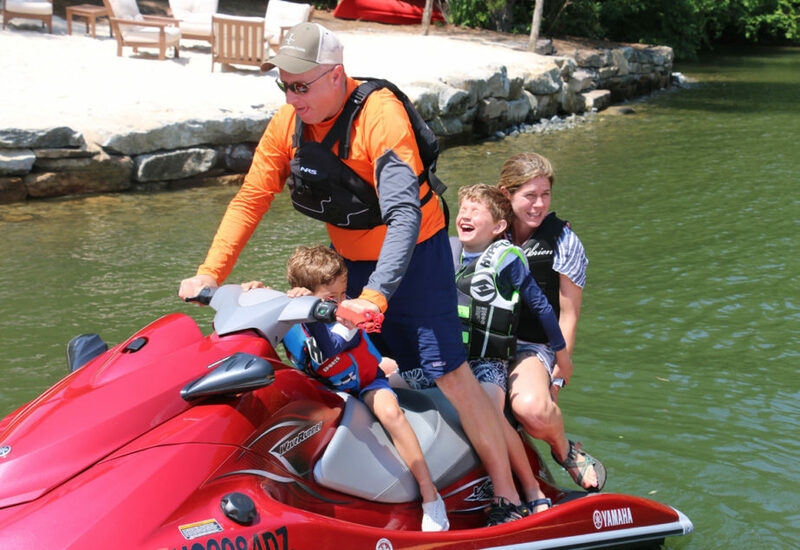 From private water ski lessons to day excursion adventures, your children and grandchildren will be delighted by each day’s adventure. Relax and dine on the front porch overlooking the croquet court. 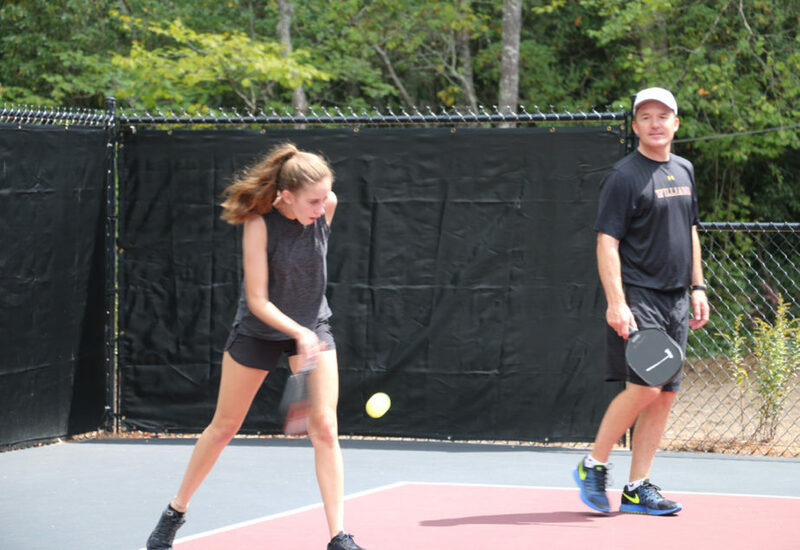 Mountaintop’s Activity Center features indoor basketball, pickleball courts, a dog park, playground and zip line along with arts and crafts, and a fun arcade gaming room.